Don’t believe the following myths about car accidents. They could get you into trouble or end up costing you a lot of money. Have You Heard Any of these Car Accident Myths? Myth 1: Most car accidents are not preventable. 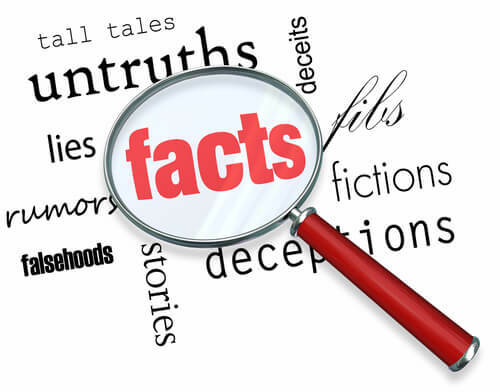 Find out the facts behind prevalent car accident myths from our experienced Denver car accident lawyer. Contact us for help with your financial recovery. Reality: Wrong! Most car accidents are caused by some type of human error. In fact, the National Highway Traffic Safety Administration (NHTSA) reports that at least 90 percent of traffic accidents are caused by some form of human error. Driver negligence, including drunk driving, failing to follow traffic laws, distracted driving, etc., is, in fact, one of the most prominent types of human error that regularly contributes to auto wrecks. Other preventable human errors, however, that can lead to car accidents include a failure to maintain vehicles, aggressive driving, etc. Takeaway: While the majority of auto crashes are caused by preventable errors, victims may have options for holding the negligent parties accountable following the crash. Myth 2: The biggest threat to public safety on the roads is drunk drivers. Distracted driving (unlike drunk driving) has been steadily increasing over recent years. Takeaway: If you regularly multitask behind the wheel, stop and recommit to focusing on the task of driving. It can reduce your risk of an accident. It may even save lives. Myth 3: Newer safety features on cars means that car accidents could be a thing of the past soon. Reality: This is not necessarily true. That’s because, as we pointed out above, human error is the single biggest contributing factor to traffic accidents. While there are newer safety technologies that purport to reduce such errors (such as self-driving vehicles), the fact that other humans are behind the wheels of other vehicles on the road means that there is still a significant risk of getting into a crash no matter how safe of a driver you are. Takeaway: Don’t blindly trust technology to keep you safe, and don’t count on other motorists to be looking out for you or your safety. Myth 4: Anyone who causes a car accident won’t be able to get compensation later. Reality: Not necessarily. In fact, if another motorist was more at fault for a collision than you may have been, you may still be able to obtain compensation for your accident-related damages and losses. Takeaway: Contact a lawyer after any collision to find out more about your possible options for compensation. Don’t assume you don’t have a claim. Contact an Experienced Denver Car Accident Lawyer at Bell & Pollock, P.C. If you have been injured in a traffic accident, you can turn to a Denver car accident lawyer at Bell & Pollock, P.C. for experienced help advocating your rights and pursuing justice.